"Any homeowner considering installation of a new roof, or replacement of any existing roof, should be aware of all applicable roof regulations for their state." Every state in the United States incorporates a stated set of “Roof Regulations”. Those regulations can vary quite significantly from state to state due to weather conditions, general building codes, insurance requirements, etc. Any homeowner (or home builder) considering installation of a new roof, or replacement of any existing roof, should be aware of all applicable roof regulations for their state. New Roof Installations – must comply with the Residential Code of Ohio as well as manufacturer’s published instructions. On slopes of 2 in 12 or greater, shingles or approved tiles must be used. In addition, an approved ice/water shield is required to be installed underneath shingles on slopes from 2 units vertical in 12 units horizontal (2:12) up to 4 units vertical in 12 units horizontal (4:12). Ice Protection – in areas that experience average daily temperatures during the month of January of 25° F or less, an ice barrier consisting of at least two layers of bonded underlayment must be used instead of a standard underlayment. The underlayment must also extend a minimum of 24 inches from the edge of the eave to the inside exterior wall line of the building structure. Roof Flashing – all flashing material is required to be at least .016”/26 gauge. 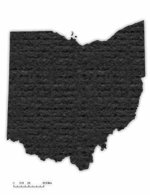 You should consult with your local Ohio authorities to obtain a comprehensive set of rules and regulations that may be applicable to your specific area. Ensuring that any new roof installation that you may be considering will be compliant with all regulations can save you considerable expense and aggravation in the long run.